This topic contains 0 replies, has 1 voice, and was last updated by Samantha Deutch 2 years, 5 months ago. The Sotheby’s Institute of Art Research Award subcommittee of the Art Libraries Society of North America (ARLIS/NA) welcomes nominations by its members to recognize excellence in a student paper or digital art history project on a topic relevant to collecting or the art market. Topics may include but will not be limited to the sale, collecting and provenance of artworks, historical or contemporary factors and trends that affect the business of art and connoisseurship. Topic emphasis should be on the art market. This award presents a unique opportunity to inspire and recognize a deserving student while also promoting the creative use of art scholarship and information resources. One exemplary paper or digital art history project will be chosen to receive the Sotheby’s Institute of Art Research Award, to be presented and announced in February 2017 at the ARLIS/NA annual conference. • $3,000.00 award to the student authoring the paper. • $2,000.00 award to the sponsoring library. • Up to $1,000 travel support for the student and/or sponsoring library member’s attendance at the ARLIS/NA 45th Annual Conference in New Orleans, LA. This amount may be used to reimburse travel expenses, but will not apply to meals, tours, or other costs. • Opportunity to present the SIA Award paper at the conference as part of the New Voices Panel. • The SIA Award paper will be published in Art Documentation at the discretion of ARLIS/NA Art Documentation editor. For detailed information about the Sotheby’s Institute of Art Research Award and nomination instructions please see the ARLIS/NA website. 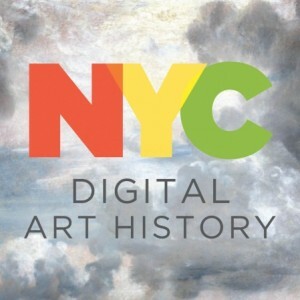 Last year’s award went to a collaborative digital art history project.